I’m all about food/drinks that look like you worked pretty hard, but in actuality you put two things in a glass. Like when you walk in to the dining room and people gasp at how fancy you are, but really, your toddler could put this together. Enter Affogatos. Maybe it’s the name? Or that they’re Italian? 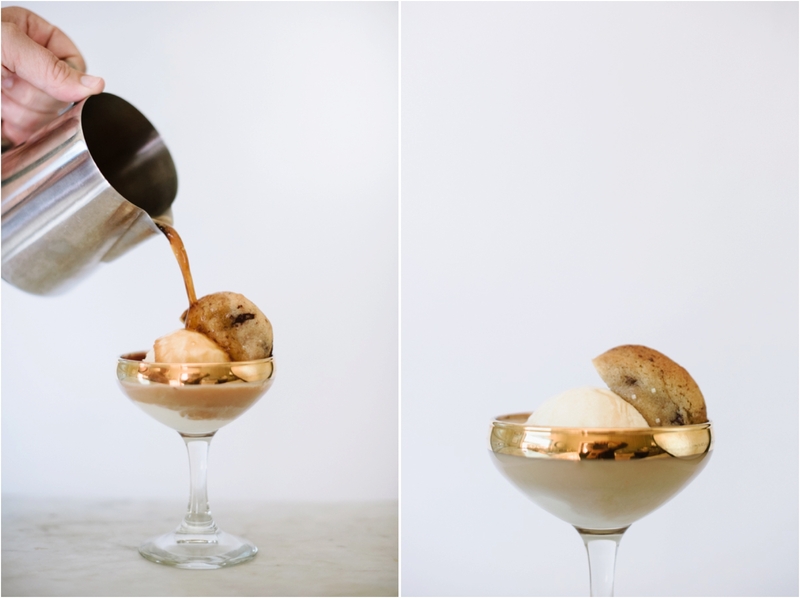 But you guys, it’s ice cream and espresso. And then you’re done. 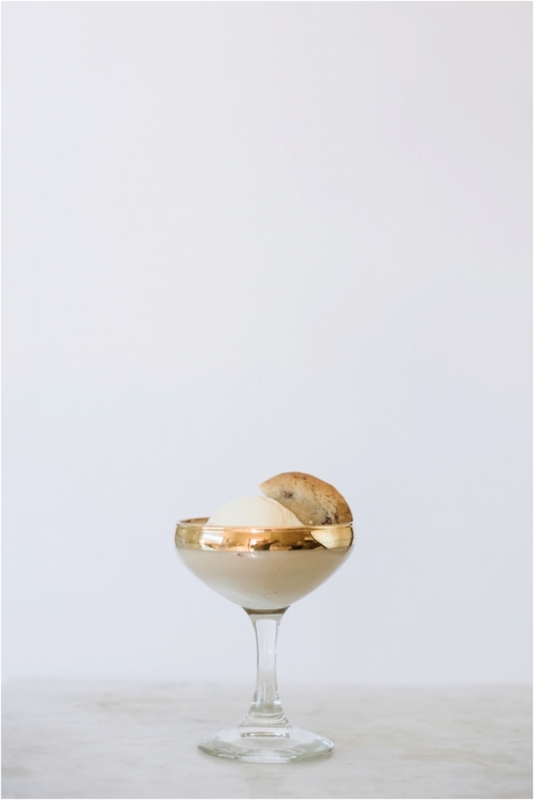 Throw it in a fancy glass, pop a cookie on top and the end. I typically drink my coffee black, but is this what cream & sugar coffee people taste every day!? It tastes like heaven. I might convert. Extra Note: You could put nothing on top, or whatever you want. I added some warm chocolate chip cookies and, drenched in espresso, they were even better! You could literally put anything on top of this and it would be fantastic. 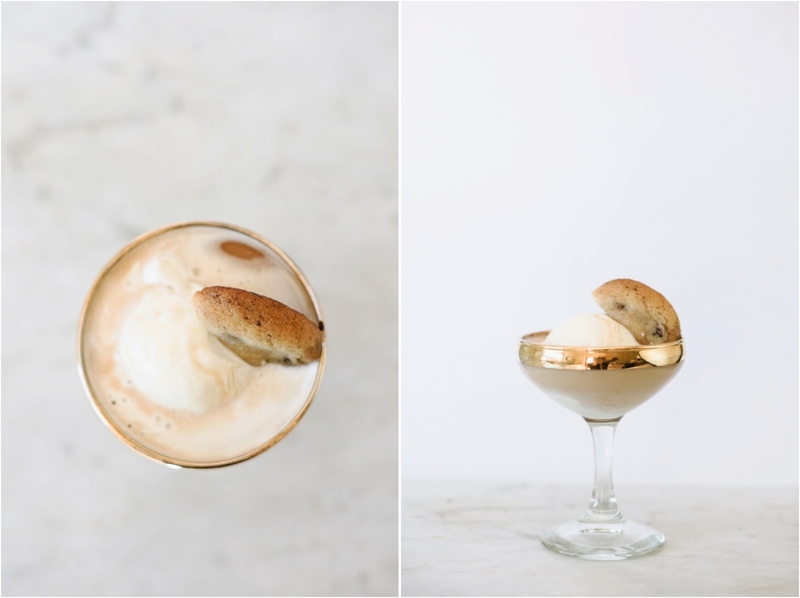 Extra Note, 2: I prepped these in the kitchen and brought them out at my last lunch, but you could pour the espresso over the ice cream at the table for a nice little entertaining flourish.